Ya'alon defends action against 'squatters' - Jews who bought 2 homes, coalition members in uproar, Bennett told to act. An outpouring of criticism combined with threats to the coalition government followed the eviction on Friday morning of 200 Jews from two buildings in Hevron, which they purchased in full from an Arab buyer and took residence of on Thursday. Immigrant Absorption Minister Ze'ev Elkin (Likud) demanded that the Security Cabinet be convened on the matter, and condemned Defense Minister Moshe Ya'alon (Likud) for the decision. Sources close to Ya'alon said Thursday that the purchase did not receive required political approval. "It cannot be that we speak about collective responsibility of all the ministers, and in practice one minister decides for all the ministers, without holding a prior discussion in the Cabinet," said Elkin. "The decision of Boogie (Ya'alon) to evacuate the homes is a serious mistake. I tried to stop the decision and did not succeed, and now the obligation is on Boogie to show that the establishment can act quickly so that those Jews can return to their homes in Hevron. Instead of focusing the war on settlers, the security establishment needs to give them security, and also to Arabs who are ready to sell homes to settlers." Deputy Regional Development Minister Ayoub Kara (Likud), Likud MK Oren Hazan and Jewish Home MK Bezalel Smotrich on Friday warned the Prime Minister that they would buck coalition discipline and bring down the government, unless the Jews were returned to the strategic buildings. Ya'alon on Friday afternoon responded to the criticism, claiming that by evacuating the residents who had purchased the buildings in full he was enforcing the law. "The state of Israel is a state of law, and I do not intend to compromise when the law is breached. In the case of the buildings in Hevron, the law was systematically breached. In order to enter a home several legal activities are required, and none of them were conducted. 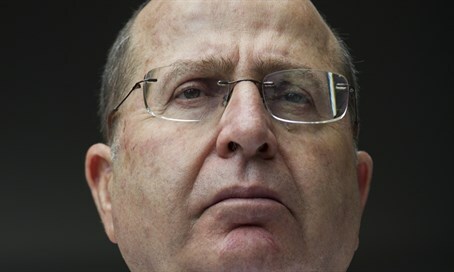 Therefore the squatters were evicted," said Ya'alon. The "legal activities" mentioned refer to the draconian limitations placed on Jews in Hevron, who are required to receive approval for purchases, have security clearance and also receive approval from the political echelon before buying a new home. Ya'alon said, "I call on the ministers, MKs and public representatives to act with responsibility, to restrain their statements and back the rule of law - and not to encourage taking the law in ones hands and breaching it. That's a sure recipe for anarchy. The conduct and statements of several politicians on this topic border on abandonment, and harms our national strength." He concluded by claiming "the settlements are important to me and I work for them, but I will not compromise on the law. The claim of purchasing the homes will be checked, as will security and political aspects, before permission to populate (the buildings) is given. Those who act by breaching the law will not aid the settlements but rather will seriously harm them." "Bennett can't be coalition and opposition"
Earlier on Friday, the Jewish Home party came out with a statement against the decision, saying, "in the midst of a terror wave, the Defense Minister is working firmly, uncompromisingly and inflexibly precisely to throw Jews from their homes. This is a lack of responsibility, a mental fixation and stirring up the tensions without any clear reason." "The Defense Minister should turn that flame and firmness against Arab terror and obvious illegal construction in the towns of the terrorists. A check of the purchase documents can be done without throwing Jews from their homes." Meanwhile the Jewish Home Forum in Samaria showed frustration with their own party, demanding that Jewish Home chairperson Naftali Bennett do something against the eviction. Joining the criticism of Bennett for his inaction was nationalist activist attorney Itamar Ben-Gvir of Otzma Yehudit, who lives in Hevron. "Naftali Bennett needs to do a self examination and decide where he's going," said Ben-Gvir. "You can't sit in a government that expels the settlers and treats terror with kid gloves, and at the same time give criticism like the leading member of the Opposition. Bennett can bring down Defense Minister Ya'alon, and not only criticize his failures. The time has come to stop talking and start doing." Ben-Gvir noted that the coalition government is made up of a minimum 61 MK majority, meaning one MK could bring it down. "Bennett has the power, and when the situation is such that the Defense Minister cancels all criticism and represents a policy that is appropriate to a Defense Minister in the government of (Zionist Camp head Yitzhak) Herzog, then Bennett and his MKs should raise their fingers and show Boogie the door home."